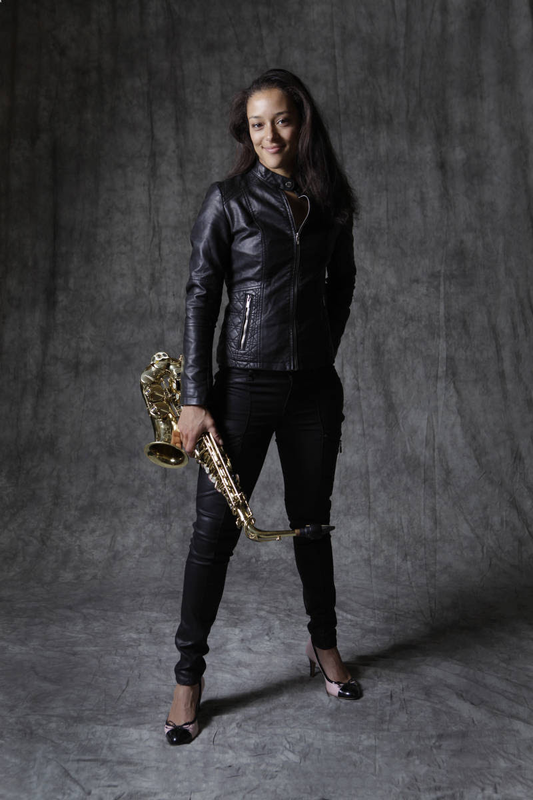 Singer-saxophonist Vanessa Collier draws equally from funk, soul, rock, and blues. This year, she received Blues Music Award Nominations (BMAs) for Contemporary Blues Female Artist of the Year and Horn Player of the Year. A graduate of the prestigious Berklee College of Music, she’s toured nationally and internationally. The current tour supports her new album, Honey Up, an album that shows off her ability to mix heavy blues guitar riffs with vibrant horn arrangements. With its exuberant vocals, "Sweatin' Like a Pig, Singin' Like an Angel" encapsulates the album's spirit and suggests just how much her live show will be. (Jeff Niesel), 8 p.m., $12 ADV, $15 DOS. Music Box Supper Club. For just about 30 years now, the Bottle Rockets have carried the alt-country torch as other bands have fallen by the wayside. On their latest album, Bit Logic, the St. Louis natives write about contemporary culture. In particular, they bemoan our dependence on technology. Produced by longtime studio collaborator Eric “Roscoe” Ambel (the Del-Lords, Steve Earle), the album features everything from rousing cowpunk anthems ("Bit Logic") to groove slide guitar-driven rockers ("Maybe Tomorrow"). At tonight's show, you can expect to hear tracks from it along with some of our favorite "oldies" like "1000 Dollar Car" and "Radar Gun." (Niesel), 8:30 p.m., $15 ADV, $18 DOS. Beachland Tavern. After a summer of shows with Steely Dan, the Doobie Brothers, the classic rock band that’s sold some 48 million albums during the course of a career that stretches back decades, swing back in town on a headline tour. The band’s been writing music for a new album, but you can still expect to hear hits such as “Jesus is Just Alright” and “Takin’ It to the Streets.” (Niesel) 8 p.m. Hard Rock Rocksino. This five-piece R.E.M. tribute act from Western New York has been together for about three years now. The group has toured throughout the region and played shows from Boston to Columbus. Since the group is a five-piece, it can take on "a wider songlist" so expect to hear lots of late-'90s and early 2000s R.E.M. at tonight's show. This fall, the band is hitting the road hard and playing Philadelphia, Chicago, Milwaukee and Minneapolis in addition to playing local shows in the Buffalo/Rochester area. (Niesel) 8 p.m., $10 ADV, $12 DOS. Music Box Supper Club. Earlier this year, local musician John McKitrick suffered strokes in both his brain stem and cerebellum. Even though doctors told him he wouldn't be able to sing (let alone speak) with the tracheotomy tube they had to put in, he reportedly began serenading the nurses after only a few days. To help McKitrick, who plays with the Original Waysiders, Galaxie Deluxe and Johnny Elvis & the Crown Electrics, pay his medical bills, CODA in Tremont will host today's benefit concert featuring an afternoon/evening full of live music and food. All proceeds go towards McKitrick’s recovery and medical costs. Local acts Johnny Elvis & the Crown Electrics, Ray Flanagan and Micah will perform. (Niesel), 3 p.m., $25. CODA.